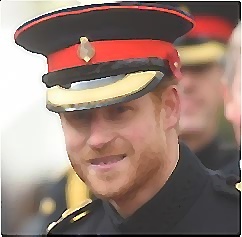 The 32-year-old prince was sporting a ceremonial uniform of Household Division frock coat and peaked cap. He also had a beard, which was not allowed for Army officers to have on parade. It was allowed for the prince because he left the Army last year. He also talked to veterans and relatives of fallen servicemen and women at a ceremony ahead of Armistice Day today. It may be a solemn occasion but he might be smiling because of his new girlfriend. This occasion was the young royal’s first public engagement since he admitted he was dating Meghan Markle. Meanwhile, Prince Harry and his grandfather Prince Philip gave tribute to the country’s war dead at Westminster Abbey’s Field of Remembrance. They laid small wooden crosses in memory of those who made the courageous sacrifice.